The fin review article today came as no surprise to me! It seems as if Innovation and companies willing to take risks and innovate and export their Innovations are under attack by our Government! When the Libs came to power – the goal of Australia being an innovation nation and “smart exporter” of technology, software and services was squarely on the agenda. Innovation was encouraged by the Innovation Ministers for Companies to Innovate, to take risks and “give it a go” and the Government would support this! The Government was talking up a national Innovation agenda and ideas boom! As a result, the industry started to boom , venture capital started to flow , there was a buzz and we were gaining momentum up the innovation curve and start punching above our weight. I am not sure what happened , but after the 2016 Election, Innovation took a back seat – as there was obviously more important issues to deal with! Was it because many in the Coalition perceived that voters were worried about the impact on jobs from new technology, and dialled back support for the sector? If so , I believe that is very short sighted and should rather focus on upskilling and re-educating workers to embrace the inevitable growth of machine learning and artificial intelligence, and use these technologies as a tool to help us grow as a nation ! The R&D tax incentive programme is arguably one of the most important and successful programmes for emerging technology start-up and innovative companies in Australia, and there is quantifiable evidence that Australian Industry has had the benefit of more than a 10X return to the Country. The programme has been under attack and at risk of becoming totally ineffective as a tool to help innovative companies grow. The R &D tax Inventive programme financially rewards companies for investing in developing new ideas. The new definition and the way it is being being applied by Ausindustry is totally inappropriate and not in sync with what R&D and innovation is happenning in the marketplace, and what actually is R&D and innovation. Theoretically every software and innovative company doing real R&D could potentially come under attack for being ineligible, making every innovative software company claiming the R&D tax concession at risk of having to reimburse the incentive claimed. Airtasker and Digiviser are Australian software and tech success story – have been hit by shock demands to pay back millions of dollars in Research and Development incentives, because of draconian qualification measures and definitions of what constitutes R&D. Many Companies have been using their accountants to lodge their R&D tax incentive claims without being aware of the potential risks that their claims are not eligible. Ausindustry base the definition around a framework known as the Frascati Manual to audit the self-assessed applications. Experimental development is systematic effort, based on existing knowledge from research or practical experience, directed toward creating novel or improved materials, products, devices, processes, systems, or services. 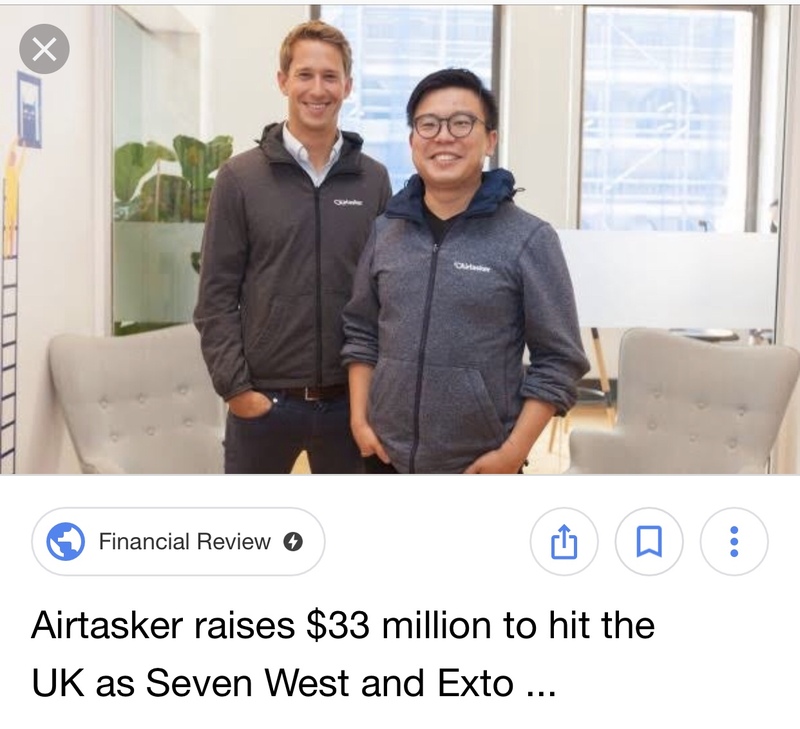 Airtasker co-founder and chief executive Tim Fung told the AFR that his company’s two most recent R&D rebates have been completely rejected under audit, and he faced paying back millions of dollars, plus a potential 75 per cent penalty for making erroneous claims. During the audit, Airtasker had to devote a huge amount of time and resources to walking AusIndustry through the details of its work, including thousands of pages of documentation and many days for its chief engineer and financial controller explaining the importance of the relevant research. Airtasker’s failed R&D claims involved working out how to combine two previously separate software languages, which it had demonstrated via web searches had not been done elsewhere before. It also developed machine learning and artificial intelligence algorithms to apply to online content moderation and detect undesirable behaviour on its platforms. Its claims were disallowed saying it didn’t meet the requirements. Airtasker has the luxury of paying back the rebates and not needing to rely on future incentives as its rapid growth has resulted in a $33 million funding round from Venture Capital. This success story would not have been able to have been achieved without the massive spend on a research and Development and the support of the R and D tax Incentive scheme during it’s time of need – having grown from 15 (when it claimed its first R&D incentive to 200 employees now with 110 on Australia! James Spenceley Chairman of Airtasker snd owner of the Illawarra Hawks National Basketball League team. He is both a seasoned entrepreneur, having founded telecommunications company Vocus, and an increasingly prolific investor in Australian start-ups through MHOR Asset Management business. “I have noted a change in the approach from the government towards supporting technology start-ups, and is worried because he believes the R&D incentive scheme has been central to the developing strength of the local tech scene. Out of the blue, the government just came back and said we’re not accepting any of your previous claims going back two years … I’ve done 10 years of R&D claims, but I’ve never seen sort of black and white behaviour like this,”. Digivizer Emma Lo Russo said her company also faces repaying more than $1 million in rebates after AusIndustry deemed its research “does not constitute new knowledge”. Ms Lo Russo, who spent $80,000 on professional advice to help ensure Digivizer’s claims complied with the R&D rules, said the finding was both baffling and “very, very frustrating”. The creation of Digivizer’s analytics software for businesses and content creators, was a direct result of her team’s research and development efforts. So is Software Development “R&D and part of the Innovation Ecosystem” as Defined by the Government ? A New definition of R&D – relevant to tech start-ups is urgently required. “Software is developed in agile teams, which try things and discard things, it doesn’t map well to the structure that the Frascati model tries to create,” Mr Petre said. Shadow Minister for the Digital Economy Ed Husic said he had raised concerns with previous Minister Kelly O’Dwyer about concerns that software companies would simply stop applying for R&D incentives, out of fear of failing future audits. “While it’s crucial that all firms use the incentive according to the rules, we’ve been concerned for a while that a sledgehammer is being used to crack a walnut,” he said. It will be interesting to hear what Marcus, Mick and the team at BSI Innovation have to say during their 2018/19 update in Brisbane on Friday! They are the leading experts in this field and have been involved with this programme for the past 25 years! If you want to have a chat with them, hit me up and I will refer you to them!